We have all seen these interesting church signs while driving across the country — using witticisms and sarcastic jokes to catch the attention to passers-by. 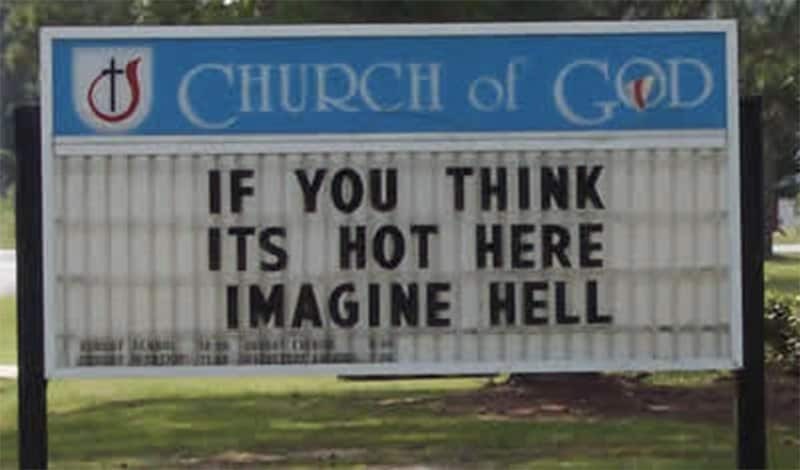 Some signs are indeed interesting — and some of them might end up going to hell too. Whether you are religious or not, houses of worship are definitely more fun than we thought! 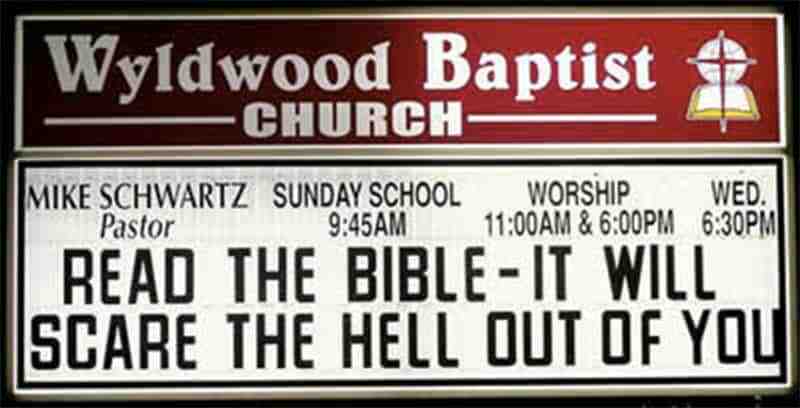 Plenty of church signs now make use of witty devices or jokes that makes you laugh, here are 10 of the best hilarious church signs we’ve seen online. 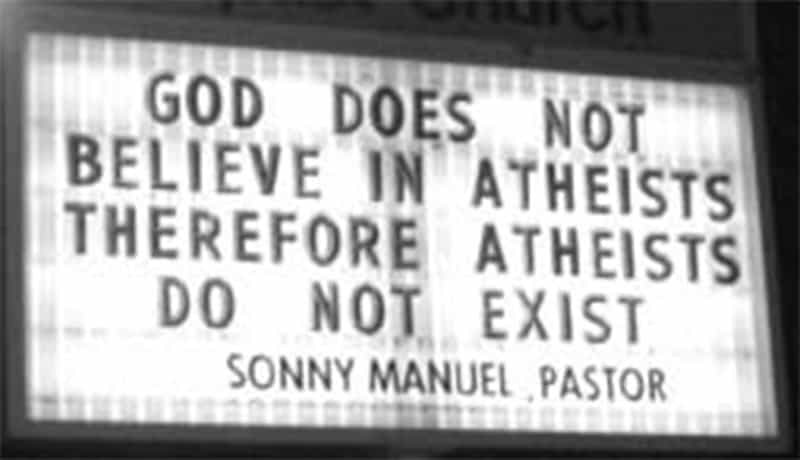 This church sign is using the same logic as the atheists do– ‘I don’t believe, therefore it doesn’t exist’. Smart play. 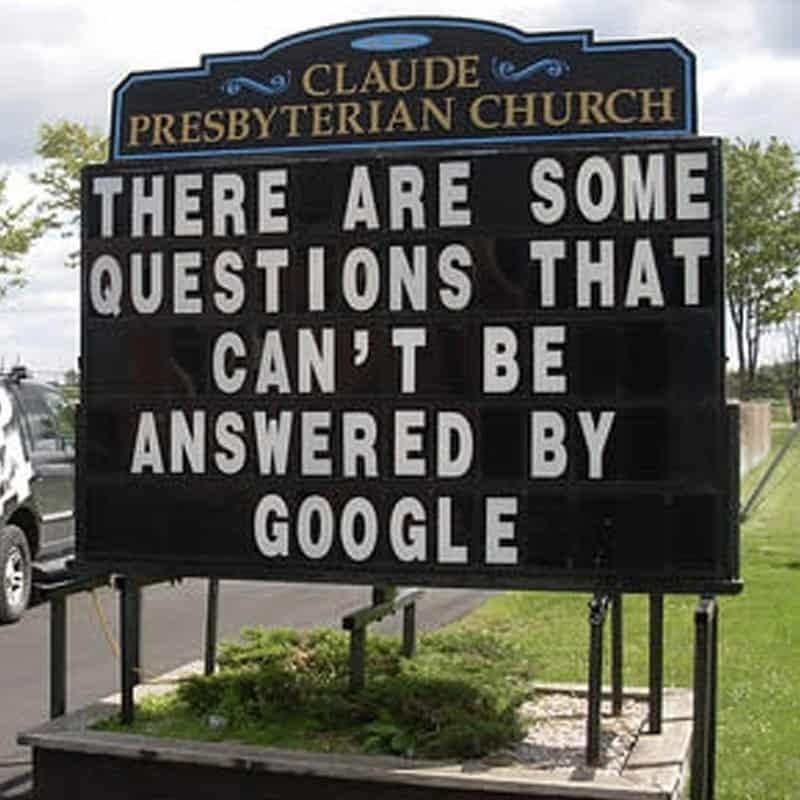 Yep, Google doesn’t have all the answers–even if it seems like it! 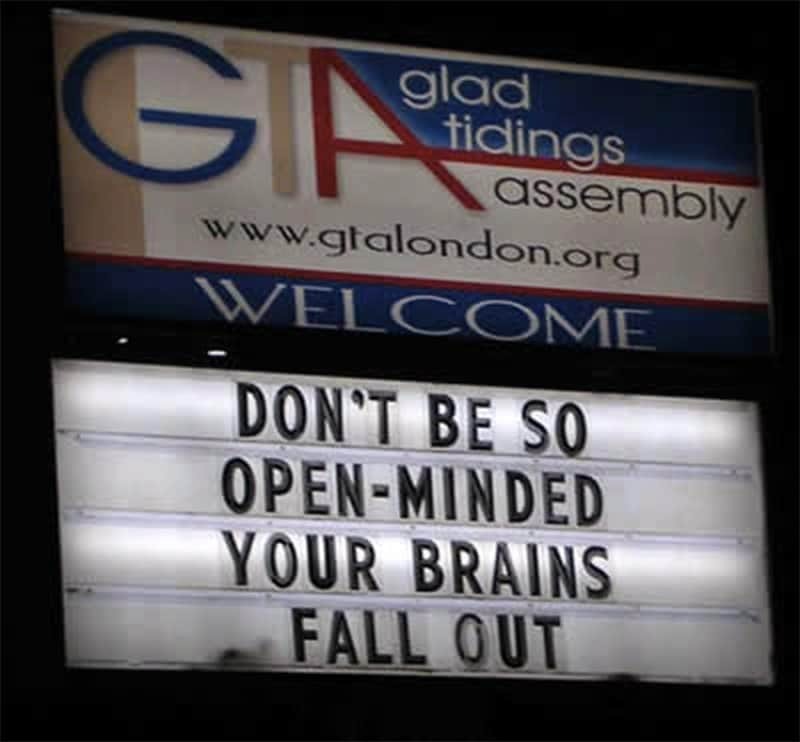 This church advises you about the cons of open-mindedness. 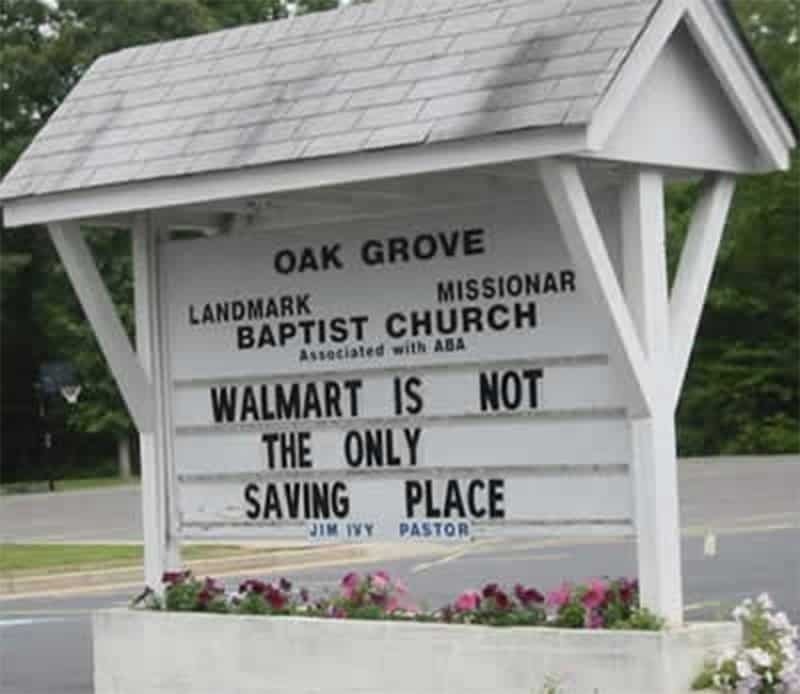 Walmart may be big on savings, but Oak Grove Baptist Church is big on saving grace. This church sign resembles a movie sign–displaying the pastor and schedule, but instead of an expected horror movie, it tells you that if you read the bible, it will scare the hell out of you. 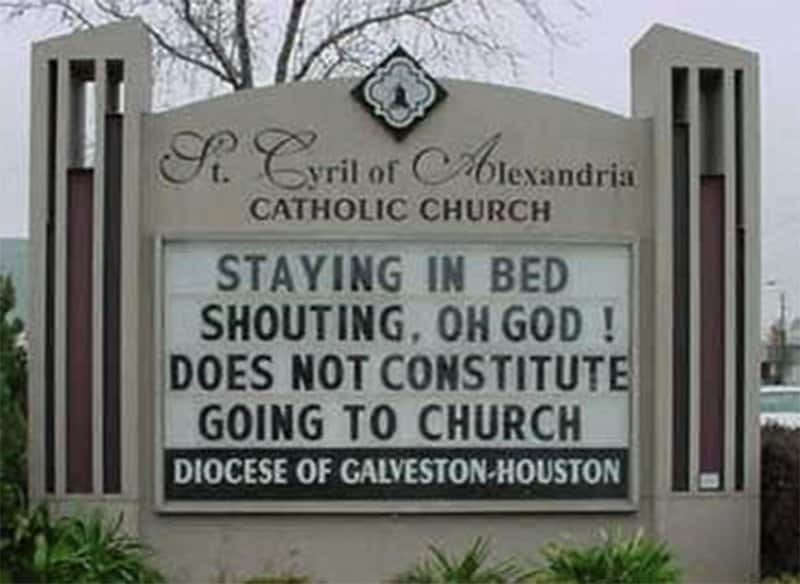 Screaming ‘Oh God’ in bed doesn’t make you religious. You need to go to church for that. 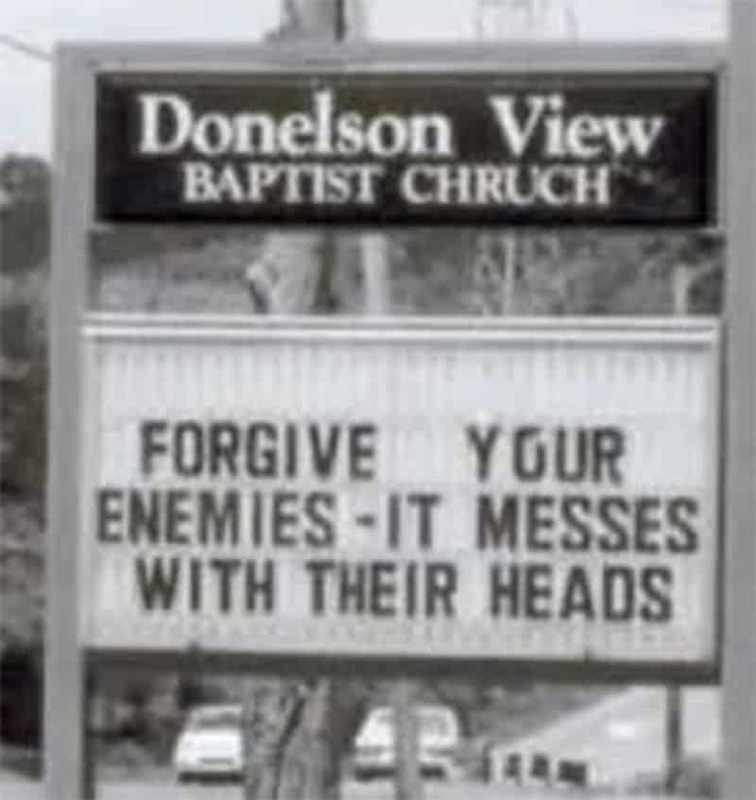 This is some really good advice from a certain baptist church on how to treat your enemies. Don’t complain about the weather — worry about your eternal fate instead. 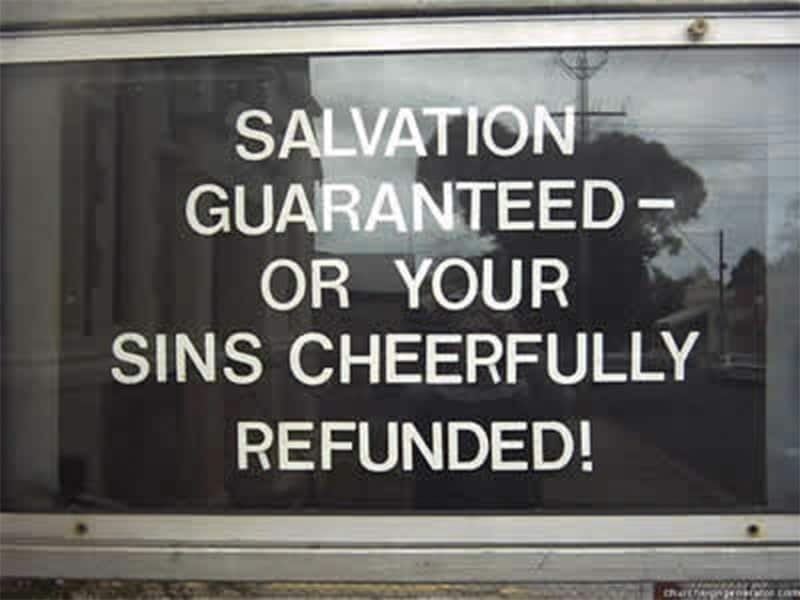 Salvation Guaranteed — Or Your Sins Cheerfully Refunded! It’s like a great deal from an infomercial — if you aren’t happy with our service, you get your sins back!